It’s only July, but it has already been a long, hot spring and summer. 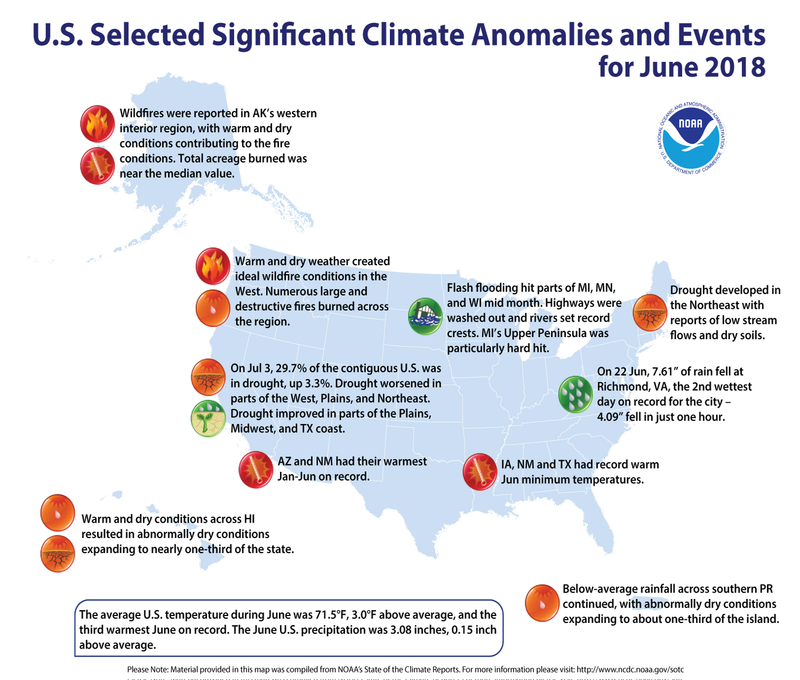 The contiguous U.S. endured the warmest May ever recorded, and in June, the average temperature was 1.7 degrees Celsius (3.0 degrees Fahrenheit) above the 20th century average. Iowa, New Mexico and Texas set record highs for their minimum temperatures in June, and as of July 3, nearly 30 percent of the Lower 48 was experiencing drought conditions. And it’s not just the U.S. During the first five months of 2018, nearly every continent experienced record warm temperatures, and May 2018 marked the 401st consecutive month in which temperatures exceeded the 20th century average. But it’s all a conspiracy, right?